Naturopathy is a holistic system of healing that incorporates a range of natural therapies, based on the principle that your body is able to fight infection and disease itself, given the right support. While conventional medicine is preoccupied with treating the symptoms, naturopathy takes a more holistic approach to wellness and is focused on prevention and seeking the actual cause of a disease or illness. The benefits of naturopathy are many and varied, and are used to treat a variety of conditions including but not limited to allergies, arthritis, depression, digestive problems, infertility, menstrual issues, reduced immunity, skin conditions; and weight Loss. 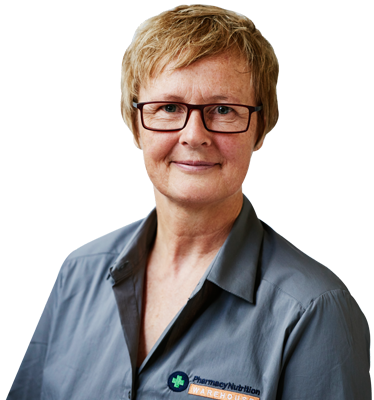 Alex has been in clinical practice since 1998 and specialises in herbal medicine and nutrition. Starting out as a massage practitioner while completing her studies, Alex has managed to obtain a number of qualifications that have given her the foundations to a successful path as a practitioner. Her qualifications include BA, Diplomas in Remedial Massage, Herbal Medicine, Naturopathic Nutrition; Certificates in Iridology, Bach Flowers; post-graduate certificate in Adult Education. Through her 15 years of clinical practice she has been involved in running busy clinics, conducting group programs, teaching and mentoring naturopathic students but also publishing articles in a number of health magazines. Utilising herbal medicine and nutrition as the foundation, Alex can assist you in formulating your own individual wellbeing plan towards a happier and healthier life. The discount received from naturopath loyalty programs is to be used by the same client only and can’t be transferred to another person. This offer is not redeemable for cash. In case of non-show, a cancellation fee of the actual value of your booked consultation applies for less than 24 hours’ notice. A Level 2 appointment is a comprehensive naturopathic assessment of your health and wellbeing. It includes a thorough medical history, an in depth check through all systems in the body plus any relevant emotional aspects to your health. From addressing chronic health issues to actively supporting your wellness goals, these sessions will provide you with a tailored treatment plan, any relevant supplement recommendations, plus individualised liquid herbal formulations as appropriate. * All supplements and herbal formulations come with an additional expense. You’ll be asked to bring along information relating to any prescribed medications, supplements and copies of recent (last 12months) test results. If you can, keep a diet diary 1 week before your appointment -write down everything you eat and drink everyday…even if you think/know its junk food, honesty is important! Can I claim the naturopath consults on my health fund? This depends on your level of cover, and what your plan includes. Most funds are claimable and will cover an amount for consultations only, higher premiums may include cover for herbal medicines and practitioner supplements. This will depend on what health issues you are trying to resolve or improve. As we are all individuals, so too your health plan will be individualised to your specific needs. What does an appointment involve? At your first appointment, your practitioner will take you through a comprehensive health check of mind and body, mostly through a well-developed set of questions and through physical examination where relevant (for example, taking blood pressure). How do you make herbs? In clinic, sometimes we use tablet or capsule formulations, but more often we use specialist fluid extracts in a formula using herbs specific to your treatment plan. You will be given instructions about the dose to take, as well as information about what to expect and dealing with any issues. Herbal medicines have a very low side effect profile whilst at the same time being very gentle and effective. At any time, if you have concerns, it’s best to discuss these with your practitioner. If there is an age restriction for this service, it is communicated throughout the booking process. At Pharmacy Nutrition Warehouse, we understand that unexpected events can occur. If you need to reschedule or cancel your appointment, we ask that you contact the store as soon as possible. In case of non-show, or less than 24 hours’ notice, please note that payment in advance may be required in order to book your next consultation.